The GRAMMY Awards Premiere Ceremony will take place at Microsoft Theater in Los Angeles on Sunday, February 10th from 12:30-3:30 pm PT, and will be streamed live internationally via GRAMMY.com. Preceding the 61st Annual GRAMMY Awards telecast, the Premiere Ceremony will be hosted by GRAMMY winner and current nominee Shaggy and will feature a number of performances by current GRAMMY nominees. Currently slated to perform are singer/songwriter Snatam Kaur, trumpeter Craig Morris, and dance/electronic duo Sofi Tukker. Nigerian Afrobeat artist Seun Kuti and Malian singer/songwriter Fatoumata Diawara will take the stage together to perform. Additionally, for the first time ever, Ángela Aguilar, Aida Cuevas, and Natalia Lafourcade will unite to perform the Mexican folkloric classic “La Llorona,” which all three have recorded during their careers. 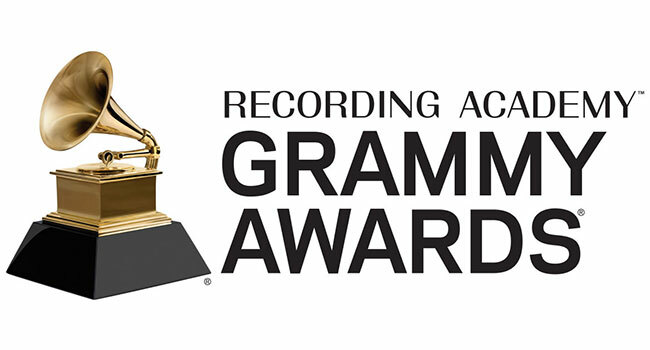 Presenting the first GRAMMY Awards of the day will be current nominees Lzzy Hale of Halestorm, Kalani Pe’a, Questlove, Cécile McLorin Salvant, TOKiMONSTA, and former Recording Academy Chair Jimmy Jam. Cheche Alara will serve as musical director. The live stream of the Premiere Ceremony will remain on GRAMMY.com as video on demand for 90 days following the event. The 61st Annual GRAMMY Awards will be broadcast live following the Premiere Ceremony on the CBS Television Network from 8-11 pm ET/5-8 pm PT. All of the Premiere Ceremony performers and the host are nominated this year, as are most of the presenters. Aguilar for Best Regional Mexican Music Album (Including Tejano) (Primero Soy Mexicana); Cuevas for Best Regional Mexican Music Album (Including Tejano) (Totalmente Juan Gabriel Vol. II); Diawara for Best World Music Album (Fenfo); Hale with Halestorm for Best Rock Performance (“Uncomfortable”); Lafourcade for Best Latin Pop Album (Musas [Un Homenaje Al Folclore Latinoamericano En Manos De Los Macorinos], Vol. 2); Kaur for Best New Age Album (Beloved); Kuti & Egypt 80 for Best World Music Album (Black Times); Morris for Best Classical Instrument Solo (Glass: Three Pieces In The Shape Of A Square); Pe’a for Best Regional Roots Music Album (No’Ane’i); Questlove for Best Spoken Work Album (Includes Poetry, Audio Books & Storytelling) (Creative Quest); Salvant for Best Jazz Vocal Album (The Window); Shaggy (with Sting) for Best Reggae Album (44/847); Sofi Tukker for Best Dance/Electronic Album (Treehouse); and TOKiMONSTA for Best Dance/Electronic Album (Lune Rouge).